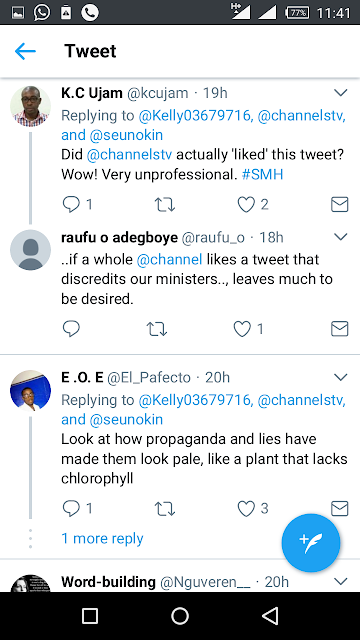 I was shocked to see that channels TV now agrees to the fact that Lai Mohammed is a liar. 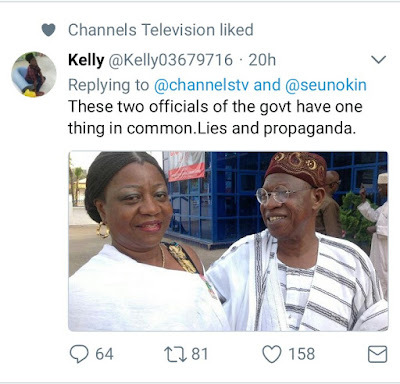 In tweet by a tweeter, is was said that both Lai Mohammed and Mrs Onoche have two things in common, lies and propaganda. 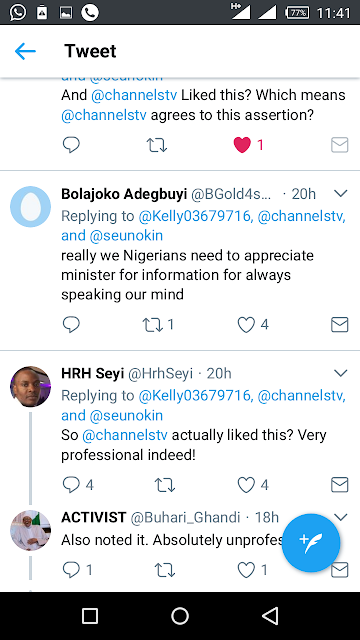 And to the shock of most tweeters, @channelstv like the tweet, meaning they agree with the tweet. Many people bears many names on Twitter, it could be true it could be a lie but I don't it's wise for any media to involve themselves in such issues.